The children spent the day pretending to be veterinarians. 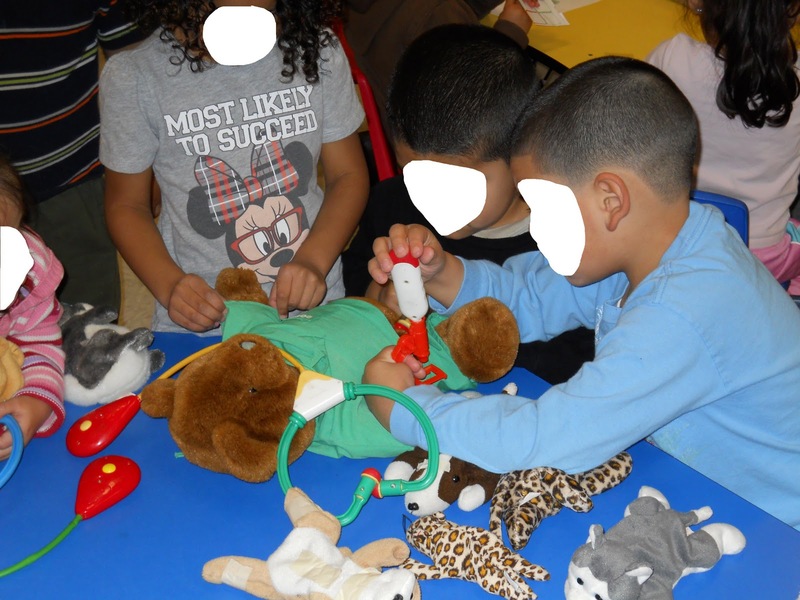 We learned a lot of new vocabulary words with our prop box (stethoscope, vaccination, flea, tick, leash, kennel, groom, and collar). I enjoy bringing out different prop boxes to spark the imagination. Every time you bring out that box something new will come from it. I have a few kids who would love this idea, thanks for sharing.